January is diet season with new diet and exercise regimes being peddled left right and centre. According to a recent survey, 80% of new years resolutions go out of the window by the second week of February, the majority of which are diet and exercise related. In this article I explain why we should be ditching diets once and for all instead focus on whats right for us personally. Honestly, I'm not surprised most people ditch their diets by the middle of February; most are restrictive, unsustainable and remove the fun from food. One of the main reasons diets don't work? We are all unique and one size will never fit all. We all have different genetics, biochemistry, lifestyles, stresses, disposable incomes, taste preferences, culinary skills etc. and these diets do not take these into account. As a result they may not work, and if they do most are impossible to stick to long term. So what do we do? We need to work out a way of eating that suits each of us, individually. A way of eating that encompasses a variety of whole fresh foods; fruit and vegetables, complex carbohydrates, protein and healthy fats. We need to find a way of eating for every day of the year, one that is nutritious but also delicious, and one that doesn’t leave you hungry or denying yourself. Its also important we remember that our diets are only part of a much larger picture of our health - we need to be mindful of our movement, stress levels and lifestyle choices too; areas so often forgotten when we get sucked into a one dimensional view of health. Remember, health is a journey, not a destination, be kind to yourself and your body, nourish it, move it, love it, and it will reward you. If you are confused about what is right for you, I can help guide you. Please get in touch. 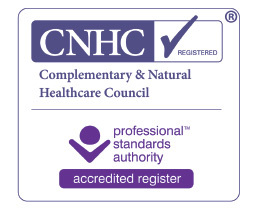 Clemmie is fully insured, a member of the British Association for Nutrition and Lifestyle Medicine (BANT), accredited by the Complementary & Natural Healthcare Council (CNHC) and governed by the CNHC Code of Conduct. This website and its content is copyright of The Nutrition & Lifestyle Medicine Clinic Limited. 2018. All rights reserved.